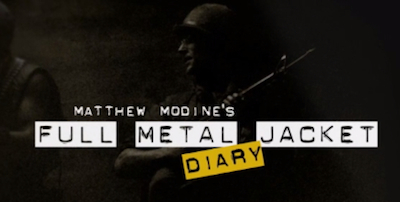 Matthew Modine's Full Metal Jacket Diary has been released as an iOS app. It was originally published as a book in 2005, and the app combines the book's text and images with additional multimedia content. Modine has recorded an audio version of the journal he wrote while making Kubrick's Full Metal Jacket, and the app even includes letters from Kubrick to Modine.